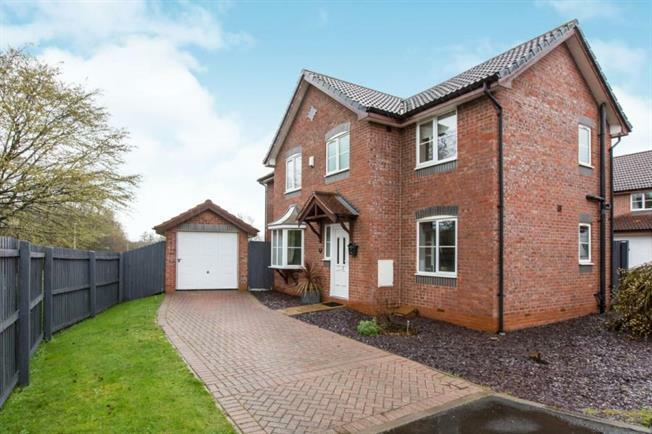 3 Bedroom Detached House For Sale in Crewe for £240,000. Looking for a spacious family home, immaculate and well presented throughout? Look no further, this lovely home, with its two storey extension offers fantastic accommodation in a small cul-de sac with parkland beyond. The property benefits from a hall way, WC/cloaks, lounge and separate sitting room with double doors to the garden. The fitted kitchen is well equipped and has a utility area to one end and ample space for a dining table to the other. To the first floor, a lovely master bedroom with Juliette balcony overlooking parkland, dressing area with smart fitted wardrobes and en-suite with double shower. There are a further two double bedrooms, both with fitted wardrobes, one with the benefit of a second en-suite. The family bathroom has a further shower over the bath. Externally, the property is extremely attractive, with detached garage and block paved driveway for two cars, storm porch and low maintenance landscaped gardens. To the rear a very private enclosed garden with lawn, shrubs and stone patio. Gas central heating. UPVC double glazing. Leasehold tenure.